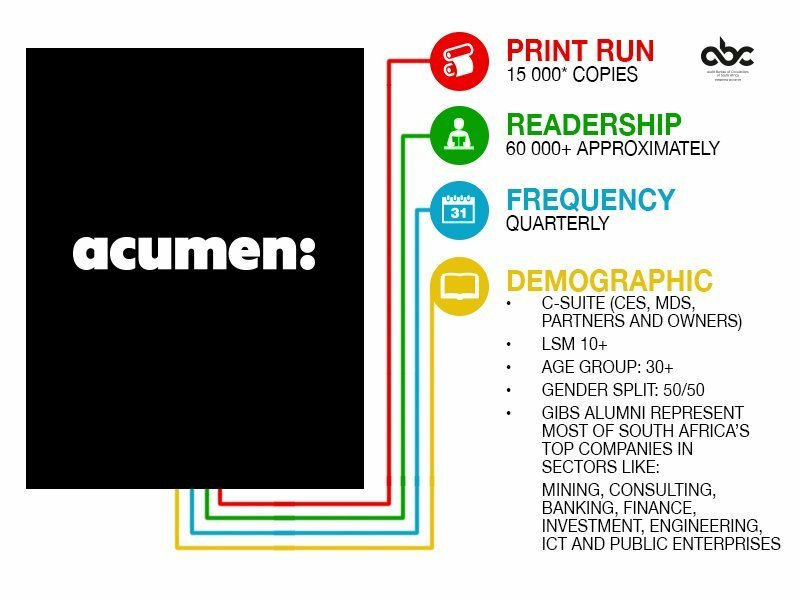 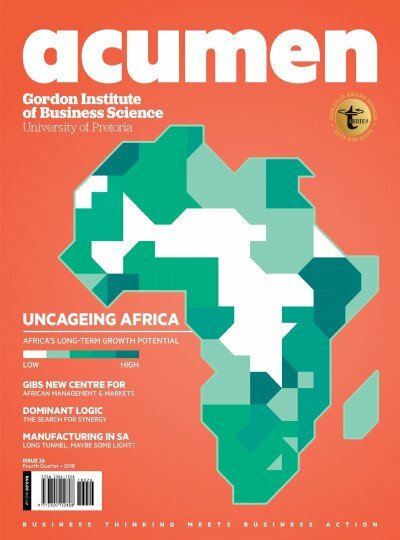 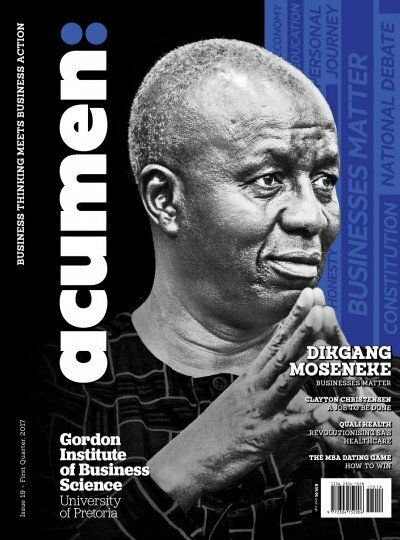 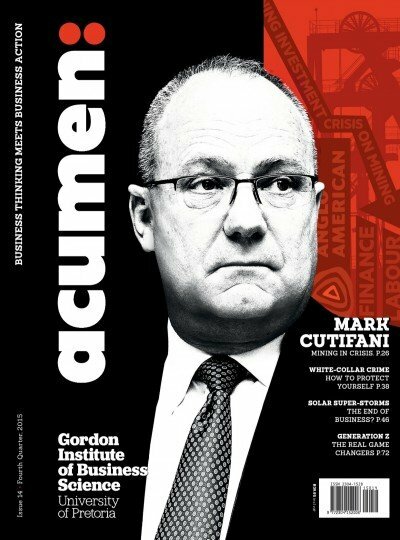 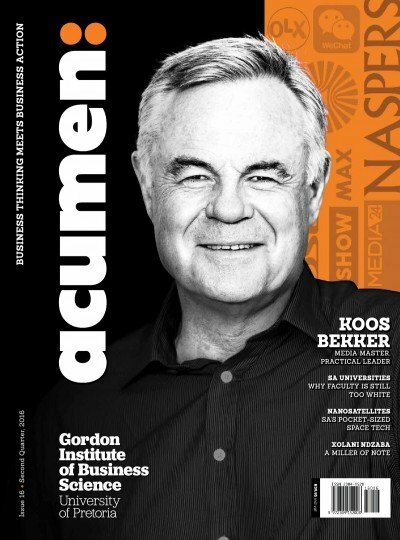 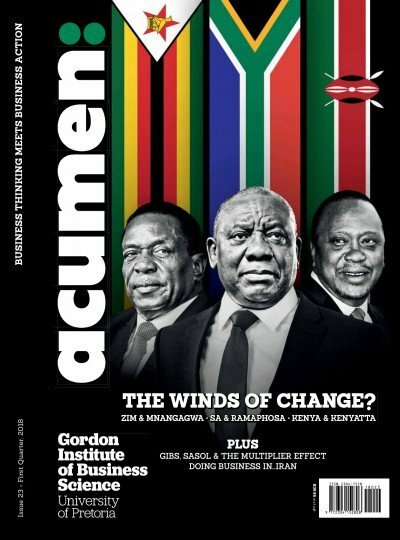 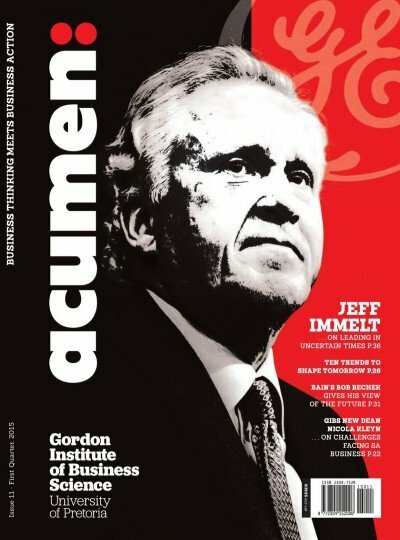 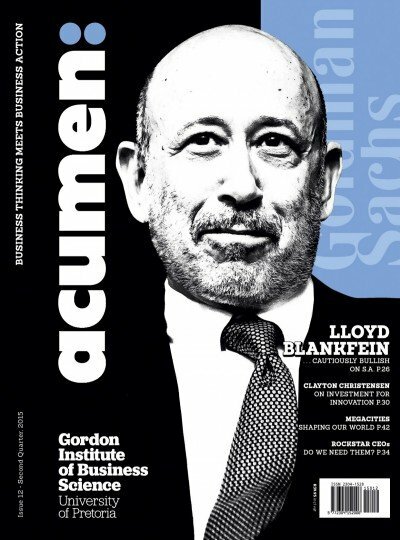 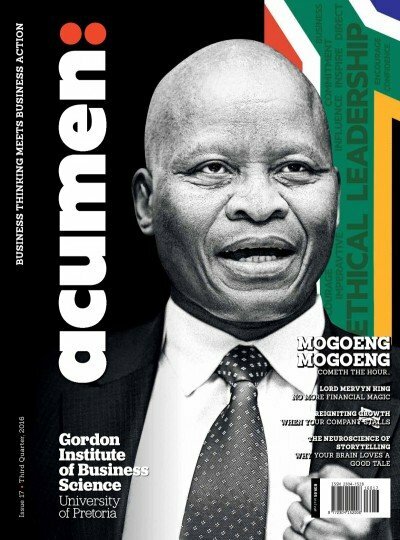 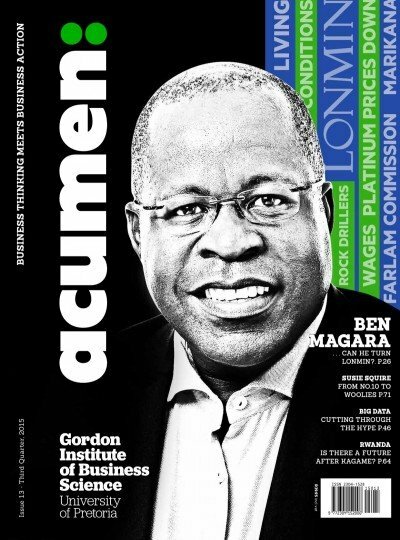 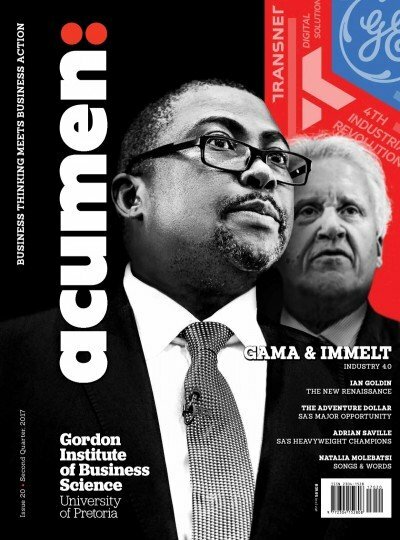 Acumen is the quarterly business journal of the Gordon Institute of Business Science — Africa’s premier business school — and aims to be South Africa’s most compelling long-form business read. 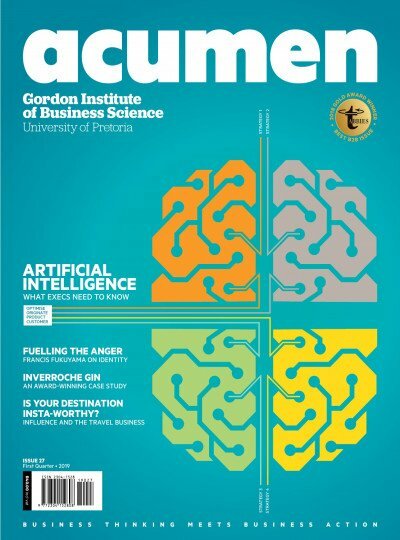 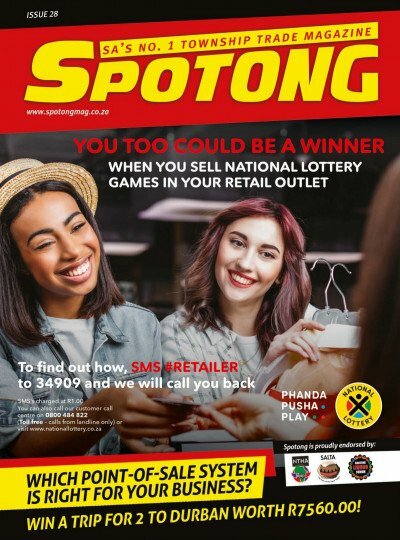 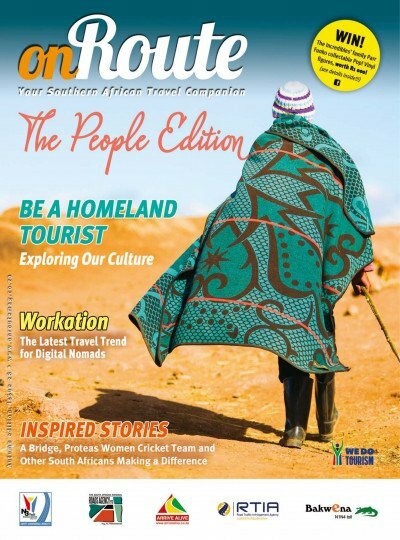 The magazine represents one of the only ways to commercially reach GIBS Alumni and students and targets senior management, the C Suite and selected Alumni. 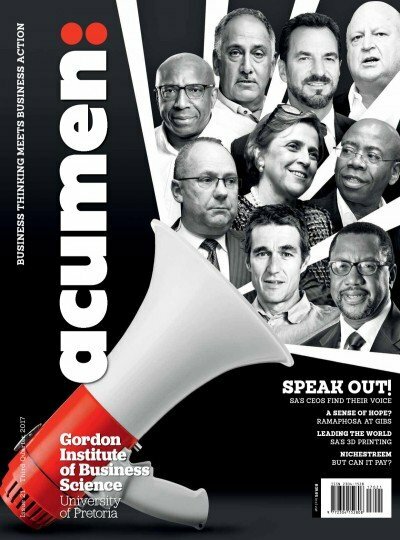 The magazine features local and international opinion leaders and contributors in articles that are thought provoking and action orientated. 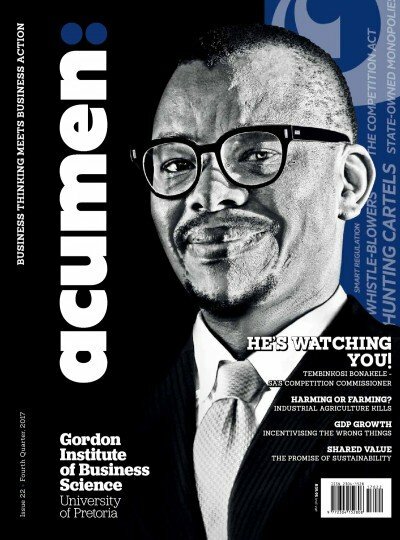 Acumen allows advertisers to build an association with what has become a well recognised and highly respected institution in the South African business community. 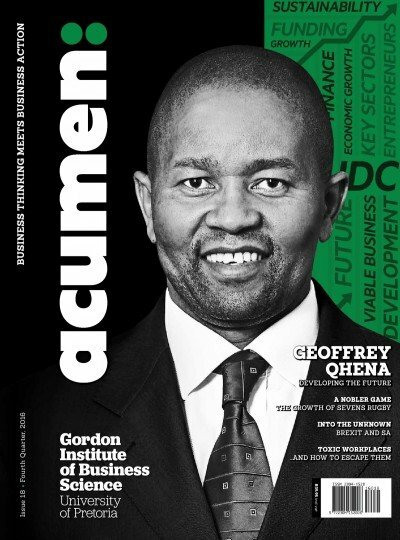 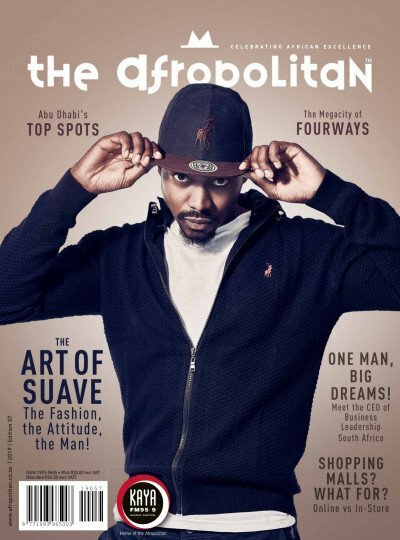 Acumen magazine is the exclusive marketing platform for the Gibs Business School, Africa’s No 1 Business School. 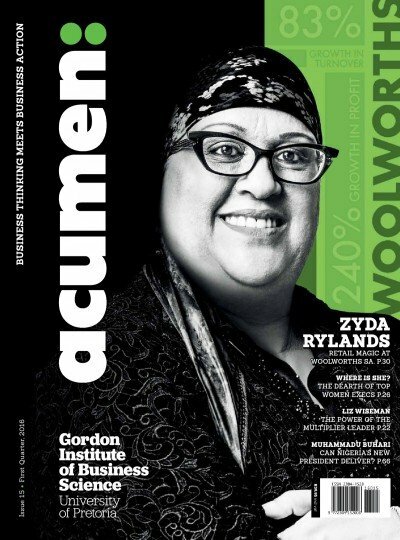 With only 25 advertisers it offers B2B marketers an extremely focused and influential market. 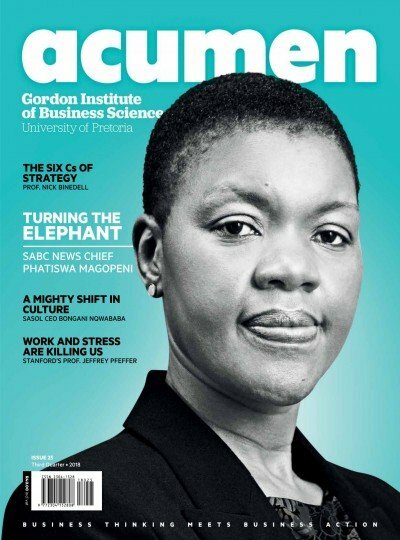 exclusive marketing platform for the Gibs Business School, Africa’s No 1 Business School. 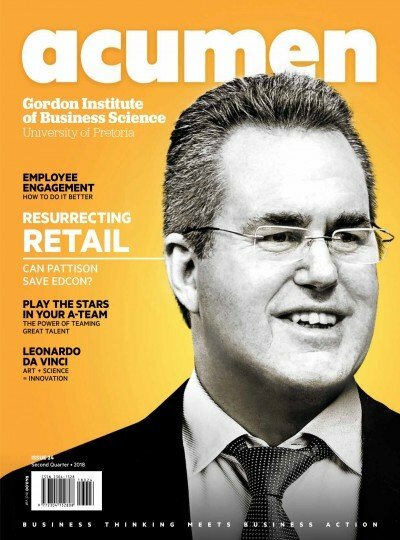 With only 25 advertisers it offers B2B marketers an extremely focused and influential market.